Way back in 2001, a 16-year-old Cristiano Ronaldo caught the subway to training everyday as a Sporting CP academy hopeful earning 1000 euros per month and sleeping in a hostel filled with his young teammates. Residencial Dom Jose, a hostel near Lisbon’s famous Marques de Pombal, represented modest living and still exists today, a 15 minute underground journey from a lodging which is also strongly familiar with the now-Real Madrid star. The Pestana CR7, moments from the Portuguese capital’s seafront, is where the winger resides on his short trip to face his old team in a Champions League encounter that serves as another reminder of how far the winger has come. 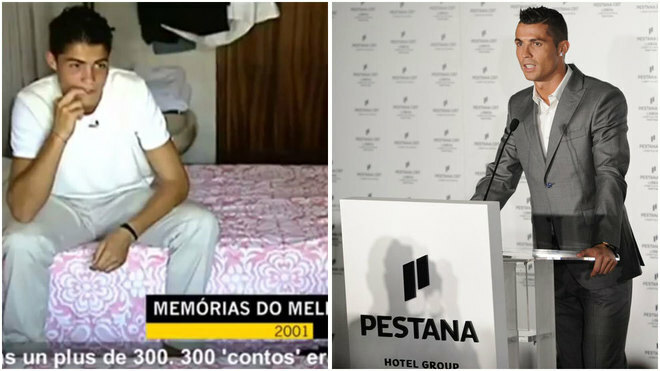 Hosting Los Blancos while offering rooms at around 110 euros per night, it’s clear that the Pestana is more than just a business hobby for Ronaldo; it’s his pension. Another Cristiano-branded hotel has already been opened on his home island of Madeira and more are planned. Those who watched the forward rise from a determined teenager to global icon with three Champions Leagues, three Ballon d’Ors, and a European Championship to his name, will be first in line to watch the player strut his stuff at the Estadio Jose Alvalade on Tuesday night before he jets back to Madrid and continues his quest to conquer the world.